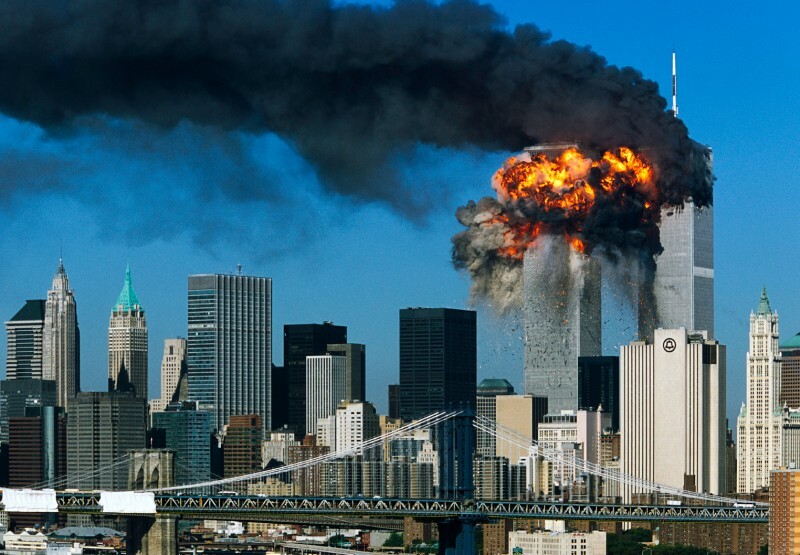 The lecture starts off describing the impact of the 2001 terrorist attack on the twin towers, what asks what are the events effects on our minds? How does our emotions impact horrific memories? Professor Jason feels that a certain kind of memory called flashbulb memories of an event have an emotional charge. This is where about 60% of detectable information is correct info after the event. Prof Jason notes that emotions can change the way we remember things each time we try to remember a powerful event, especially an event that charges our emotions. So what does lecture 10 focus on? Lastly the lecture looks into theories of Mind-Body relations. alter our memories when we try to recall something. Professor Jason M. Satterfield states that the link between cognition and emotion is bi directional, although this factor was examined in an earlier lecture from the same series, which I hope to cover soon. Prof Jason is interested on how we explain our emotions. He explains that emotions are more than just feelings, they are linked and also affect our biological system. Examples given in this lecture are how emotions are linked to our central nervous system, limbic system and frontal lobes. Emotions have a powerful effect on our immune system and cardiovascular systems. Prof Jason is interested on how emotions get turned on or off and how we could even modulate our emotions. Prof Jason then talks about how the emotions are linked to the brain and then he refers to his first lecture when he maps how the Central Nervous System, but this time he focuses on how the emotions are linked biologically to parts of the brain being the Amygdala, Hippocampus, and Thalamus. Prof Jason wants to focus more on the pre-frontal cortex. The Professor moves on to explain the brain in more detail while specifying more about the brain’s Amygdala, which is responsible for fear based memories. For the Hippocampus, Jason feels this part of the brain is responsible for entering new memories and the Thalamus is for sensory information processing, which sends the rest of info to other parts of the brain for processing. Another part of the brain which this lecture examines is the prefrontal cortex, which is at the front of the frontal lobes. The next part of this audio lecture describes what the hippocampus looks like. Prof Jason states its function is on Short term memory to long term memory. Prof Jason points out how damage to this part of the brain can stop us from forming new memories. To make things easier on the listener Jason gives examples on what things could cause damage to the Hippocampus. A good example is viruses, hence Rabbies which can attack the brain, e.g. 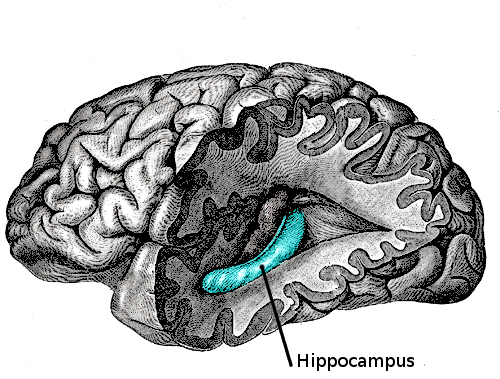 killing cells in the Hippocampus. Interestingly enough Prof Jason relates to popular movies that shows the impact of Hippocampus damage. One film being “Momento”, which is worth watching as the main character is unable to recall memories due to hippocampus damage within his brain. Another interesting movie worth watching is “50 First Dates” staring Drew Barrymore. Going back to the topic of lecture 10, Prof Jason states how emotions heavily influence the Hippocampus. Jason picks out several important brain fluids and mentions how stress can affect the Hippocampus which can lessen its functionality. A good example given is in research done on Post Traumatic Stress Disorder and how PTSD has caused suffer’s Hippocampus to actually shrink. Here the Professor describes what the Amygdala looks like and where is resides in the brain. Interestingly enough, Prof Jason explains how the Amygdala can cause rage, but if its damaged or removed from the subject, then the person becomes more passive and is less responsive to fear. 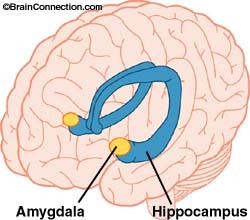 The Amygdala is critical for fear based emotions and it is possible to use the Amygdala for conditioned based fear response. Professor Jason describes the process of Long-Term Potentiation. This is where long-term potentiation (LTP) is a persistent strengthening of synapses based on recent patterns of activity, consequently enough LTP is also behind learning and memory. There is a puzzle which Prof Jason wants to work out, how does stress increase its effect in the Amygdala? The basic answer is that the Amygdala is there to keep us safe as it acts like an alarm system to alert us of danger depending on the level of stress. As you may have noticed by now, this lecture can be quite challenging, so Prof Jason sets out some examples of the Amygdala in action. One example given in this lecture is the effect on people when recalling the terrible terrorist attack on the New York Twin Towers. Or other examples when someone we may have known has died, however regarding flashbulb memories it is stated we begin to loose more detail of the event each time we recall it. and try to correct our actions. This then leads to the explanation of why those suffering Post Traumatic Stress Disorder can be so nervous due to the effects on the Amygdala as it consistently triggers off the “flight or fight” response. 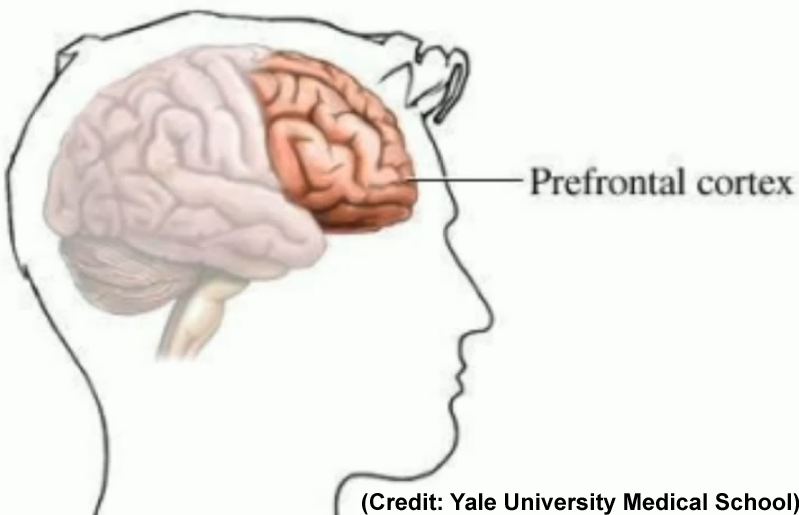 On this part of the lecture the Professor explains in detail what the Prefrontal lobe looks like. Again Jason is interested on What happens when this part of the brain gets damaged? An example of a case is given where a man has his frontal lobe damaged. He struggles to make decisions because of the difficulty of attaining a conscious experience of emotions. The Prefrontal cortex and Orbital Cortex is connected to our lymphatic system, which Professor Jason explains is a bi-directional connection. Prefrontal lobes gets damaged. If the right Prefrontal cortex gets damaged, then subjects may have more negative emotions. However the left prefrontal lobe relates to emotions on relaxation, meditation and calmness. 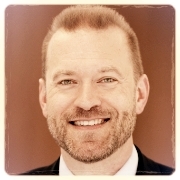 The lecture then moves to some research done at the University of California, which aims to look at the effects of the Amygdala due to connections and effects of emotions. The aim of the research is to reduce the effects of long term stress. Professor Jason admits that most of this lecture looks at negative emotions, because the study of positive emotions on the brain is actually lacking in research. In fact researchers at The Mind-Body Institute of Wisconsin feel that the affects of positive emotions on the brain is the next frontier in brain research. parts of our body shows what emotion we are experiencing, which can probably be linked to sociological studies as humans try to interpret expressions of hidden emotions from each other. Professor Jason takes time to explain the effect of anger on our bodies as in what tenses up, how our posture changes and the reasons for such anger. Another interesting question raised by this lecture is what comes first? The emotion or the posture of the persons body? There is more than just the posture or the tensing of muscles when regarding the effect of emotions. Prof Jason points out that we have changes in temperature, Hypothalamic–pituitary–adrenal axis (HPR) in cortisol or hormone regulation. The lecture also looks into Galvanic Skin Response (GSR), which is defined as a change in the electrical properties of the skin. GSR can be very difficult to measure as only special equipment can be used, but nevertheless the results of GSR are of interest to those looking into the affects of emotions on the body or visa versa. Measuring the other affects of emotions can go down to polograph tests or even Lie Detector tests. Detection tests are not 100% accurate as people can tell a lie and still seem very calm, while those telling the truth can be frightened of being tested. The lecture then moves on to examining two systems regarding the experiences of emotions. These systems being the Interoceptive system, which is the sense responsible for detecting internal regulation responses, such as respiration, hunger and the Proprioceptive system, which allows us to be aware of the movement of our Body. Why are these systems important to this lecture? The reason is how does our body signatures influence our experience of our emotions? behavior therapy (DBT) is a specific type of cognitive-behavioral psychotherapy and how it can be used to treat emotional states within the subject. Theories of the biology of emotions and psychology of emotions. The lecture has given us more than enough to think about regarding emotions and the connection of Mind-Body experiences, but what about important theories on this subject? Professor Jason explores 3 interesting theories, which I have listed below. First theory Explored by the lecture – William James and physiologist Carl Lange in the mid 1880s. This theory states that our emotions are caused by our interpretation of bodily reactions. So this theory concludes that We feel sad because we cry, the body experience comes first. Second theory Explored by the lecture – This theory states the opposite which is The Cannon-Bard theory. Here this theory of emotion argues that physical arousal does not have to occur before an emotion and that emotion comes from the unconscious activity. This theory was tested on dissecting rats and noticing even though the head of the rat was removed from its body, it could still show signs of some emotions. The last theory Explored by the lecture – This being the Schachter singer theory of emotion (1962) where an event causes physiological arousal first, then onces a reason for this arousal is identified and labelled, then you are able to experience the emotion. With the final section of such theories, this lecture ends. As you may have already guessed. This lecture is tough and demanding, plus the professor can speak very quickly at times. The good thing is that this is only one lecture out of 36, the other lectures are on The Neuroendocrine System, Visible and Hidden Identity, Psychoneuroimmunology and mental health related lectures. If you manage to get hold of this series, then its worth a treat.